HELEN, GA. – The Helen City Council is expected to adopt the 2017-18 budget following the second reading and public hearing at Tuesday’s council meeting which will begin at 3 p.m. The budget is $6,674,205, which includes water and sewer, the special purpose local option sales tax and capital projects. The general fund revenue and expenditures are balanced at $3,510,505. No millage increase is anticipated. Council will hear a request from Valhalla Hotel Development to install weathered gray architectural singles on the bungalows being built in order to match shingles on the pool cabana. The request was denied by the planning design and review board for not meeting the city’s commercial color code. There is also a request by Viele Margarita’s at Paul’s Steakhouse to allow changes to two signs. Both are large, free-standing double-sided signs. The planning design and review board denied the request for not meeting the city’s commercial sign code. 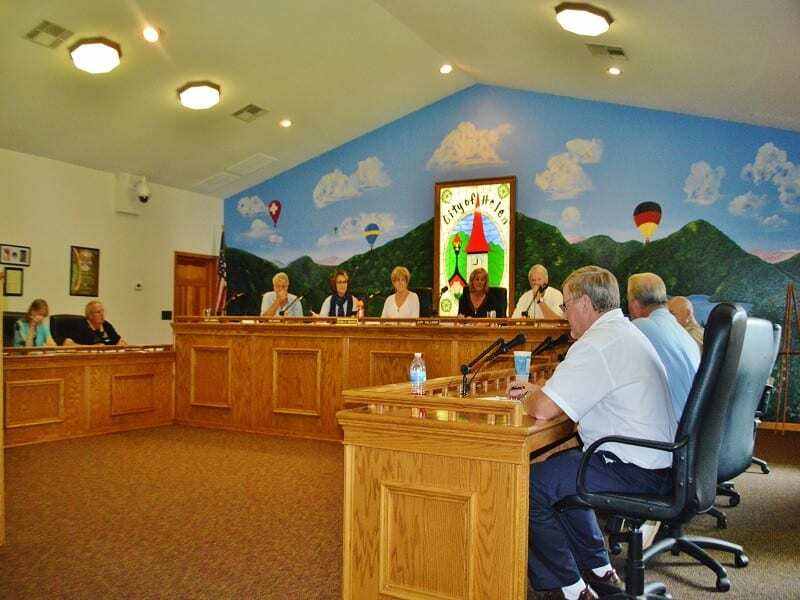 Council will discuss holding a city-sponsored street dance on Sept. 23 or Sept. 30 as well as a change in the city’s personnel policy regarding the channel of communication. The first reading of an amendment of the official code of the city as it relates to alcoholic beverages will be held, followed by monthly departmental reports from the police department, fire department, water department and public works department.